2 natural spritzing toners, that I love to keep in my handbag on a hot day! I’m sure there are loads of organic toners out there, but I have picked two to share with you that I keep in my handbag and particularly love. I use these frequently throughout the day, during all seasons, but especially at the moment. 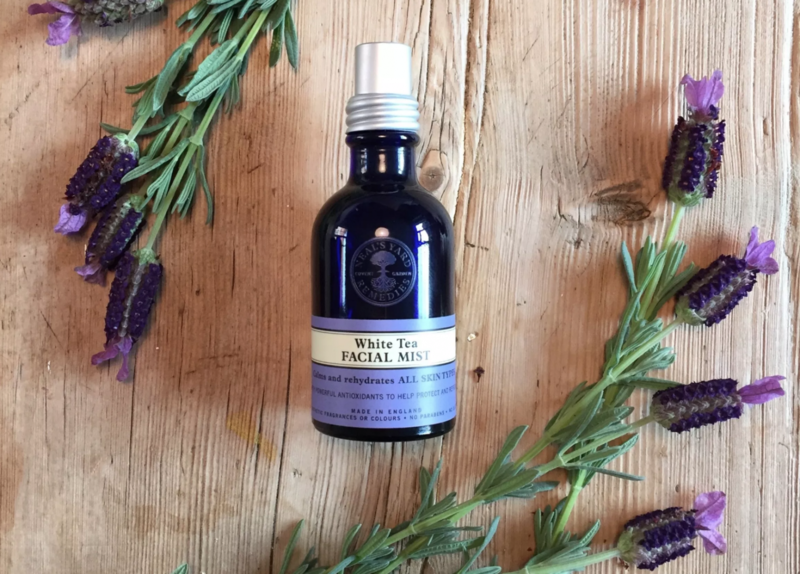 First of all one of my old favourites is the White Tea Facial Mist by Neals Yard. It smells so good and it’s cooling blend of organic melissa, bergamot and lavender essential oils gives you a moment of calm refreshment while you’re on the go. I personally find this a bit of a saviour for whenever I’m getting in a bit of a flap, feeling a bit anxious or even over tired a few spritz of this over my face and neck, somehow tends to help me slow down and keep my cool. The fusion of ingredients, really do have a calming effect and being only a 45ml bottle it’s perfect to fit into your handbag or take on a flight. Rehydrating and calming, what more could you want! 2. 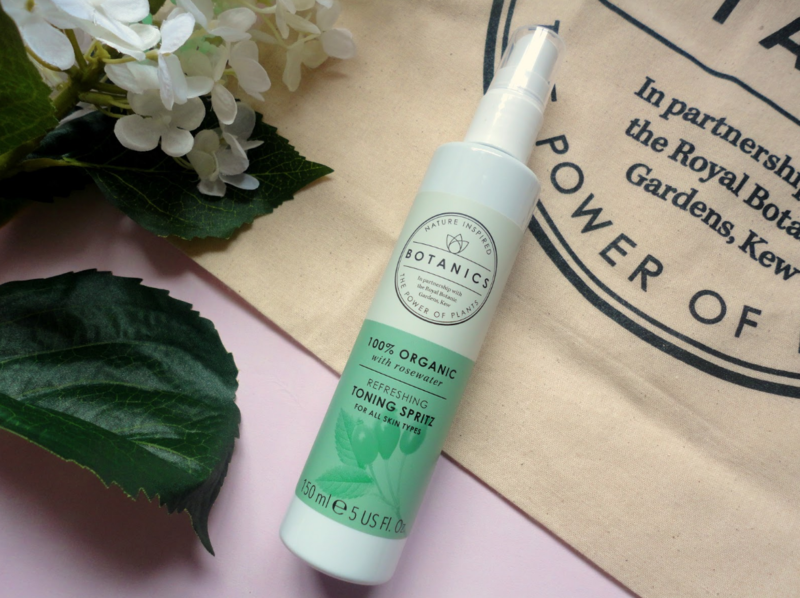 My second new favourite spritzing toner that I have recently discovered is the refreshing toning spritz from the Botanics range at Boots. It doesn’t break the bank and it’s 100% organic, perfect for revitalising your skin on a hot summers day. It includes a generous dose of Organic Rose Water that purifies and refreshes skin after cleansing. I can’t get enough of this, especially at the moment whilst it’s scorching outside. As soon as I’m in from the office, I cleanse my face and spritz all over with this, its so refreshing and again smells so good. It’s cooling effect leaves you feeling instantly revitalised. I also use this on the front and back of my neck, a quick way to cool down. Previous Post Shoes that share the good, and look fabulous finally! Next Post Vegan perfumes with no nasty synthetic preservatives, no parabens or phthalates!